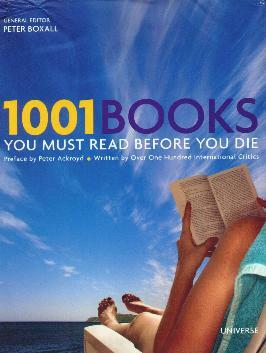 With all the books I read, mostly non-fiction, I doubt whether Id ever be able to read these 1,001 titles. There's so much else to do in life. However, scanning these pages, I'm happy to say I have read quite a few but there are zillions more, especially some of the classics I'd still like to read. Critical insights assist anyone wanting to "get into books", as well as help you choose which books you want to read or which ones appeal to you. For example: "Anyone interested in the intersection between literature and politics should know this famous, explosive novel of class conflict and industrial unrest, set in the coalfields of northern France in the 1860s." - Germinal by Emile Zola; or "This is Morrison's first novel and recounts the life of the Breedlove family after they move from the country to set up home in Lorain, Ohio (also the author's birthplace)." - The Bluest Eye by Toni Morrison; or "The scarlet letter of the title is a gold-bordered, embroidered "A" that the puritanical community of seventeenth-century Boston forces adulteress Hester Prynne to wear." - The Scarlet Letter by Nathanial Hawthorne; or "Like her other novels, this is a marriage plot: its principal protagonists are all, eventually, united with the partners they deserve." - Sense and Sensibility by Jane Austen; or "Dracula is a true horror novel, as much rooted in the reality of the world where it takes place as it is in the forces of the supernatural that invate it." - Dracula by Bram Stoker. A veritable feast of books to choose from. This is like having a little reference library in your home. So many of the books listed have been made into movies so that's another angle of interest. Conclusion - Informative and useful to anyone looking for good books to read.